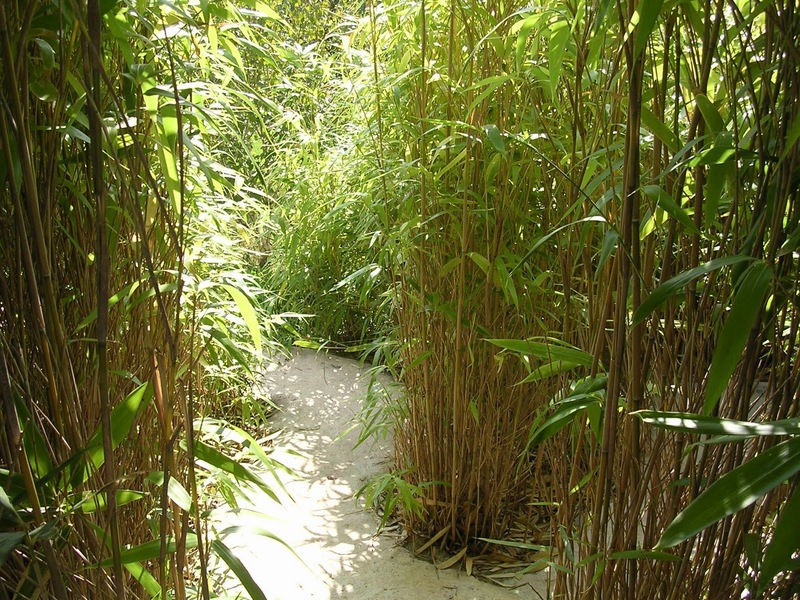 At our meeting, Sylvia asked about eradicating a smallish patch of bamboo from her garden. Various ideas were expressed, including some rather dangerous use [I hold my hand up] of petrol to the drastic measure of moving house ! If you know of any others, please pass the information on ! 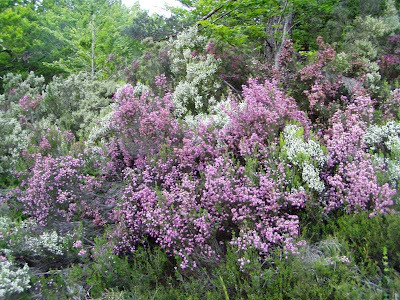 Maquis in the hills surrounding Correns with Erica arborea in bloom now. One of the topics of our next Garden Group meeting is going to be winter-flowering shrubs. This winter, being so mild, is not totally representative of what normally flowers at this time of the year. The shrubs I'll concentrate on are truly winter flowering, I've excluded almond and mimosa as we've already published blogs on them. Most of the flowers of the winter flowering shrubs are not hugely impressive, this is compensated by the fragrance of many of them. 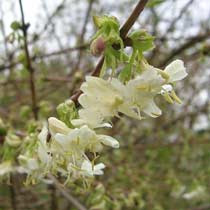 Many of the winter flowering shrubs originate from outside Europe. They’ve adapted well to the N. European climate as their climatic conditions are similar to ours in N. Europe. In our area of the Provence with our very hot summers, it is advisable though to plant them in a spot where they are out of direct sunlight during the hottest period of the day to prevent the leaves from scorching, the winter temperatures are not an issue. Shrubs that have adapted well to our particular region are marked with an *. Some need acid soil. The best solution for that is to grow them in pots. 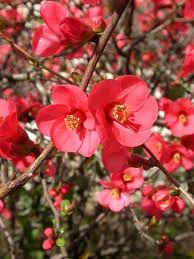 I've not included Camelia and Rhododendron in my list of plants. These two are very often grown in pots. In fact I've two quite large Camelia's in pots, they are about to flower now. What I found quite curious, in the hills around Correns in a mixed habitat grow Pinus halepensis (Aleppo pine), Rosmarinus (Rosemary), Cistus albidus and Erica arborea (Tree Heath). Our soil in the area is mostly calcareous soil. Rosemary and Cistus albidus prefer calcareous soil whilst Erica likes acid soil. Somehow they seem to co-exist happily, perhaps the Aleppo pines give off enough acidity for the Erica arborea to flourish. 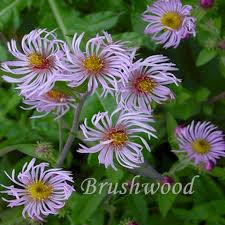 *Ampelaster carolinianus (Climbing Aster), native of S.E. U.S.A., climber up to 4m, fragrant evergreen, flowers lilac from early winter onwards. Prefers fertile, moist soil, but is tolerant to our summer drought. Benefits from being cut back in spring. Temperature up to -15C. 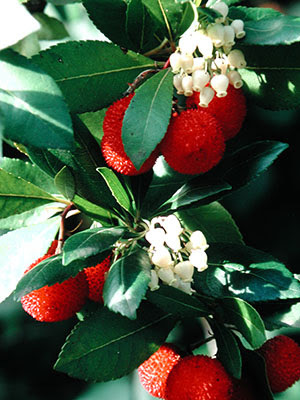 *Arbutus unedo (Strawberry Tree), native to the Mediterranean region, height 3m, evergreen, bears strawberry like fruits and bell shaped white flowers at the same time from autumn through early winter. 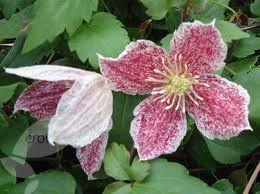 Prefers sun or half shade, well drained calcareous soil. Temperature up to -15C. 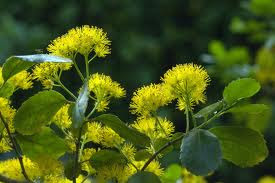 Azara microphylla, native of Chili and Argentina, height 10 m., fragrant evergreen, flowers yellow, from February onwards. Prefers sun but will tolerate shade, fertile, well drained soil. Temperature up to -10C. *Chaenomeles superba “Ernst Finken”, Chaenomeles is native to mountain woodland in China and Japan, deciduous, height 1.5m, spread 2m., flowers range from white flushed with pink to red from February onwards. Prefers sun, well drained soil. Temperature up to -10C. Chimonanthus praecox (Wintersweet), native to woodlands in China, deciduous fragrant shrub, height 4m, spread 5m, flowers sulphur yellow from January onwards. Prefers half shade, acid soil, requires watering but needs good drainage. Several cultivars. Temperature up to -15C. Citrus sinensis (Orange), Citrus trees originate in S.E. 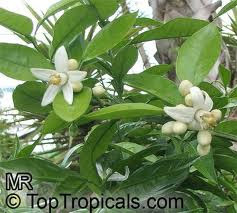 Asia, evergreen fragrant shrub/trees, flowers white from February onwards, prefers sun, acid but well drained soil. Most of the time they are planted in pots in our region, but I've seen them growing in gardens in sheltered spots. Michelle has a lovely grapefruit tree in her garden and in Lorgues near the church is a wonderful large lemon tree. Citrus trees can survive lower than zero C, but general advise is not lower than zero degrees C.
Clematis cirrhosa balearica, native to the Mediterranean region, from Spain to Portugal, eastwards to Syria, fragrant evergreen climber up to 4m, white flowers with red spots in winter with silky tassels fruiting heads in May. Any soil, preferably dry. Temperature up to -15C. 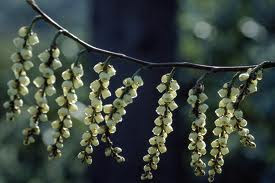 Corylopsis spicata, originates in woodlands and shrub land E. Himalayas, China, Taiwan and Japan, fragrant, deciduous shrub, height 1.5m, spread 2.30m, pendant racemes of 6-20 bell-shaped flowers from February onwards, prefers sun, requires moist, fertile but well-drained acid soil. Temperature -15C. 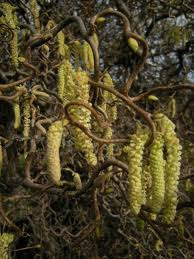 *Corylus avellana (Hazel), originates in N. temperate regions, most woodlands, decidious shrub, height 5m, yellow catkins from February onwards, prefers sun, calcareous, well-drained soil. Temperature -15C. *Daphne bholua, native to E. Himalayas, fragrant deciduous or evergreen shrub, height 2-4m, flowers purplish pink from January onwards. Prefers sun, moderately fertile, well drained soil but not dry. Temperature up to -5C. *Daphne mezereum, native to Europe, Caucasus, Turkey and Siberia, fragrant deciduous shrub, height 1.5m, flowers purple or pink from February onwards. Prefers sun, well drained soil but not dry. Temperature up to -15C. 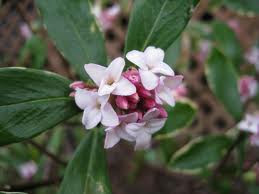 *Daphne odora “Aureomarginata”, native to China and Japan, fragrant evergreen shrub, height 1.5m, flowers purplish pink and white from January onwards. Prefers sun, well drained but not dry soil. Temperature up to -5C. 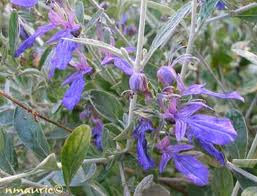 *Elaegnus x ebbingii, garden origin, but frequently seen as hedges in our area, fragrant evergreen shrub, height 4m. Prefers sun, calcareous, well drained soil. Temperature up to -15C. 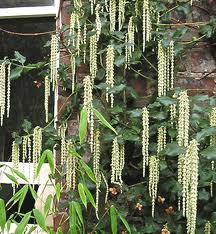 Garrya elliptica (Silk -tassel bush), woodland and scrub from W. U.S.A. to Central America and the W.Indies, evergreen shrub, height 4m, grey-green, very long catkins from January onwards. Prefers sun, well drained soil. Temperature up to -5C. Hamamelis virginiana (Virginian witchhazel), native E. Asia and N. America, deciduous fragrant shrub, height 4m., flowers yellow from January onwards. Prefers sun, acid, well drained soil. Temperature up to -15C. There are several cultivars. 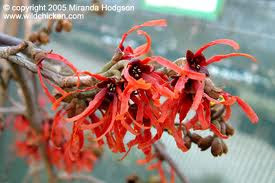 Hamamelis x intermedia “Diana” has deep red flowers. *Jasminum mesnyi, native to S.W. 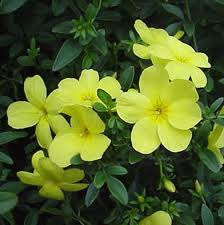 China, evergreen shrub, height 3m, spread 1-2m, flowers yellow from December onwards. Prefers sun, well drained soil. Temperature up to -15C. 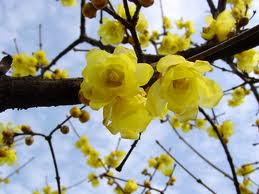 *Jasminum nudiflorum, native to W. China, deciduous shrub, height and spread 3m, flowers yellow from December onwards. Prefers sun, well drained soil. Temperature up to -15C. *Lonicera fragrantissima, native to China, fragrant evergreen shrub, height 2m, flowers white from February onwards, Prefers sun-half shade, well drained soil. Temperature up to -15C. 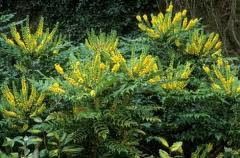 *Mahonia japonica, native to China, fragrant evergreen shrub, height 2m, spread 3m, flowers yellow from November onwards. Prefers semi-shade, moist soil. Temperature up to -15C. *Mahonia x media, garden origin, several cultivars M. x media“Charity”. 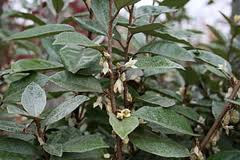 M. x media “Buckland”, fragrant evergreen shrub, height 5m, spread 4m, flowers yellow from November onwards. Prefers semi-shade, moist soil. Temperature up to -10C. 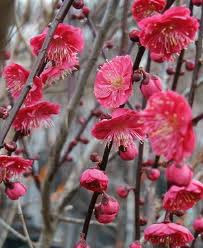 Prunus mume, native of China, decidious shrub or small tree, height and spread 9m, deep pink flowers late winter, followed by edible apricot like fruits. Prefers moist, fertile but well drained soil. Temperature up to -15C. 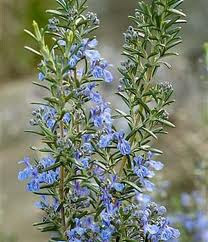 *Rosmarinus officinalis (Rosemary), native to the Mediterranean region, evergreen shrub, flowers violet-blue from December onwards. Prefers sun, calcareous soil. Temperature up to -15C. 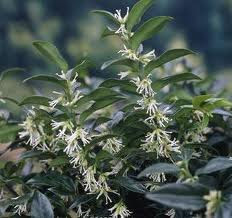 Sarcococca (Sweet box), evergreen fragrant shrubs, several species, most popular Sarcoccoca humulus, native to W. China, height 60cm, spread 1m. and Sarcoccoca hookeriana, native to W. China, height 1.5m spread 2m, flowers white from January onwards. Prefer semi-shade, moist, not too alkaline soil. Temperature up to -15C. 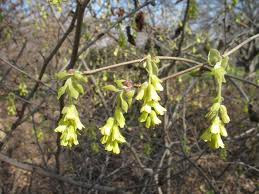 Stachyurus praecox, native to Japan, deciduous shrub, spikes of pale greenish-yellow catkins from February onwards. Prefers sun, well drained soil. Temperature up to -20C. *Teucrium fruticans "Azureum", native to W. Mediterranean, height 60cm-1m, spread 4m, evergreen shrub with dark blue flowers from January onwards. Prefers sun, well drained soil. Temperatures up to -15C. *Ulex europaeus (Gorse), native to W., C., and S. Europe and N. Africa, height 2.5m, evergreen shrub with deep yellow flowers from January onwards. Prefers sun, well drained soil. Temperatures up to -15C. *Viburnum bodnentense “Dawn”, garden origin, height 3m, spread 2m, deciduous shrub with fragrant deep pink flowers from January onwards. Prefers sun or half shade, moist but well drained soil. Temperatures up to -15C. *Viburnum farreri, native to N. China, height 3m, spread 2.5m, decidious shrub with fragrant white flowers from January onwards. Prefers sun or half shade, moist but well drained soil. Temperatures up to -15C. 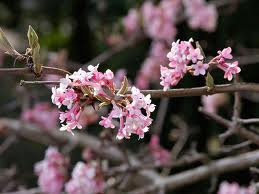 *Viburnum tinus, native to the Mediterranean region, height 3m, spread 3m, evergreen shrub with fragrant white sometimes light pink flowers from February onwards. Native to our region. Prefers sun or half shade, moist, calcareous, but well drained soil. Temperatures up to -15C. De toute évidence Janvier incite le jardinier au repos. Très souvent le froid implique un peu de patience avant d'entreprendre les travaux de taille, de semis ou de plantation. Néanmoins ce temps peut être consacré à la réflexion sur des projets mais aussi à prendre note de ses expériences liées au jardin et à retirer des enseignements. Le bois mort est une source d'abris pour de nombreux insectes utiles aux plantes, aussi n'hésitez pas à en laisser ou à en introduire dans le jardin. 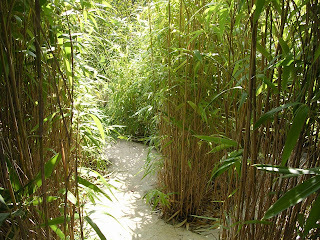 Par exemple, vous pouvez tapisser de branches le pied des arbres ou des haies. Au verger, vous pouvez encore appliquer le traitement d'hiver à base d'huiles végétales. Il faut attendre une belle journée ensoleillée avec une température de 10 °C. Les tailles seront faites hors gel, en restant doux dans les choix de coupes et en privilégiant l'aération de la ramure. Les élagages des arbres se font, seulement si nécessaire, pendant cette période de repos végétatif en pratiquant de belles coupes et en appliquant éventuellement un produit cicatrisant. A l'intérieur, vous devez apporter de l'humidité ambiante à vos plantes vertes, soit par des vaporisations fréquentes, soit en plaçant des saturateurs d'eau en particulier près des radiateurs qui asséchent l'atmosphère. Donnez un maximum de lumière à ces plantes qui ne sont pas adaptées à nos courtes journées. Les jours froids peuvent être occupés à l'entretien des outils (huile de lin sur les manches, affutage et graissage des outils de taille). Faites aussi le tri de vos sachets de graines en regardant les dates limites de germination. Vous pouvez tester leur pouvoir germinatif en déposant quelques graines dans une coupelle avec de l'eau tiède. Gardez les au chaud (si 50% des graines germent alors conservez les pour semer). Mon dernier conseil sera de vous inviter à nourrir les oiseaux qui peuvent en avoir besoin en ces périodes de froid, surtout si votre jardin est dépourvu d'arbustes à baies. Privilégiez les aliments riches en hydrates de carbone et en graisse. Pensez aussi à leur laisser des points d'eau en cassant la glace (hors d'atteinte des prédateurs).